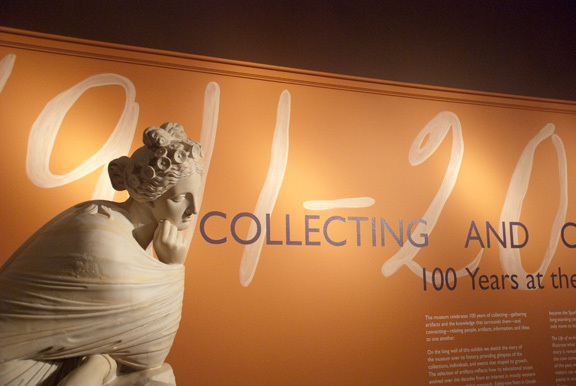 The Spurlock Museum's Centennial Exhibit was a temporary exhibit developed in-house, celebrating one hundred years of the museum's history. 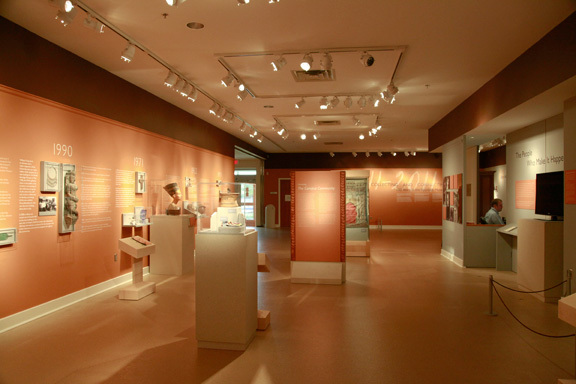 I worked with the head curator and research committee and contributed to the visual design and overall planning of the exhibit, from room color ideation and input, to typography, type setting, title wall design, photo editing, and overall layout consultation. 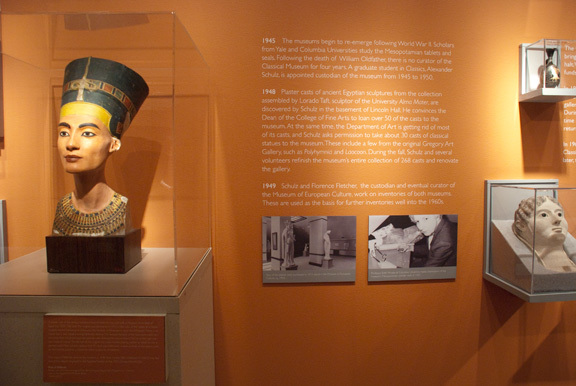 This exhibit was the first time that we used several new-to-the-museum techniques, like the vinyl wall text, and hand-painted lettering. It was up for a year, and was a great success.